The first of my family to arrive on this continent were refugees, French Huguenots fleeing religious persecution, imprisonment and the threat of death in 17th Century France. Today is World Refugee Day, which brought to mind my ancestors who left France for England in 1660 and arrived here in 1680, hoping to find the freedom to worship according to their conscience, become fully accepted members of society, and live at peace with their neighbors and with the authorities. This is the same freedom and peace called for by the U.S. Constitution adopted a century after their arrival. And if a person chooses to follow someone other than Jesus, the Son of God, the Bible says they have the freedom to do so without being prevented by those around them. The Bible goes on to say that those who stand in Jesus remain on firm ground. The freedom to choose to worship otherwise than Jesus is what makes the freedom to worship Jesus possible at all, at least when it comes to freedom from government interference. Once the government begins to pick which religions are worth protecting, even promoting, and which are worth denigrating all hope of freedom is lost – even if your religion is among the favored. This is what my ancestors learned firsthand. The rulers persecuted them for their faith and promoted the faith of others. The freedom to worship, even for the favored faith, was dependent on the approval of the king. That is no freedom at all. 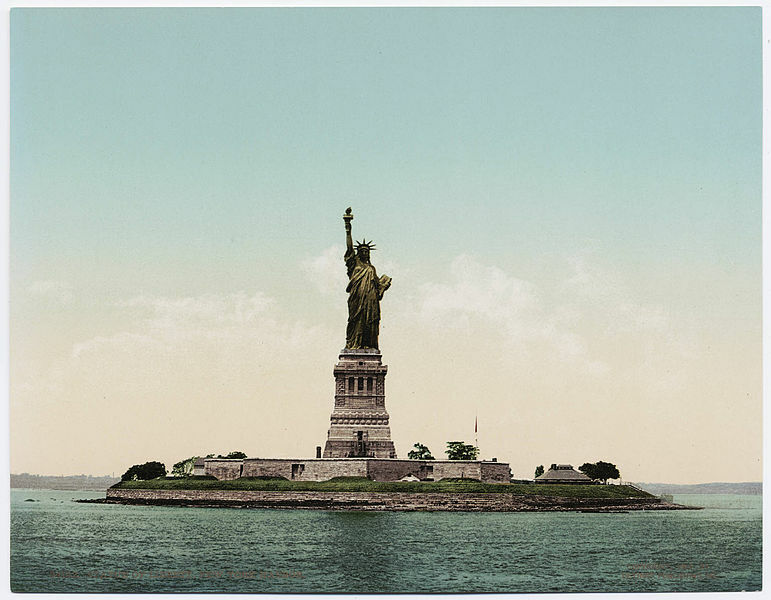 And so my ancestors became refugees, seeking refuge in a place that eventually became known as the Land of Freedom. Remembering them, their faith, and the welcome they received in this new land is how I want to commemorate World Refugee Day and my fellow descendants of refugees and those seeking refuge now wherever they might be seeking it in this world. I remember too that in Jesus, the strong foundation rock of our faith, we find our true and eternal refuge. He cares for the captives and sets them free, for the oppressed and rescues them from danger. The refuge found in Jesus is not just spiritual, but physical. He proved these dual aspects throughout his ministry of healing and teaching. Raising Lazarus from the dead pointed to the truth of eternal life, but it was done by way of actually raising him from the dead. The physical act was not merely incidental. Jesus gave physical life back to Lazarus and turned his family’s suffering into joy. To follow Jesus then is to do as he did. I’m glad people did that for my ancestors seeking refuge over three centuries ago. This entry was posted in Uncategorized and tagged Emma Lazarus, freedom in Christ, Huguenots, La Rochelle, religious freedom, religious persecution, Statue of Liberty, The New Colossus, World Refugee Day. Bookmark the permalink. The brevity of the counter point may seem cruel, but is not. Brief only. Many do not want the refugees to impose their religion upon the land they have arrived in. The government is stuck in this, trying to maintain some type of neutrality. Values held by a country are not because the religion is adhered to, but perhaps out of respect. This country has held to Judaeo-Christian ethics because they WORK. -You have the right to your religious beliefs or none at all. You have the right to express those, others have the right to accept or reject. Frequently there are consequences to the rights you choose to exercise. I attend a church where many of the members are applauding what is currently occurring with families at the southern border. Sunday, we commissioned a team gong to work with African migrants in Spain, many of whom just arrived in Europe on boats that were turned away from several ports. I no longer understand the American mind on refugees. I am hoping to avoid current events as I can’t host present-day political discussions. Thank you for that. I know and love people on various opposing sides of these current events. I want to have a few blogs to read that let me rest from those particular topics. Thank you Tree. I’m with you. As a minister I have to stay neutral because I serve all people not only those I agree with. This issue is hard to face, but we see it EVERY DAY. The base issue is how do respond when we need to use both love and firmness. Here a law has been broken, NOW WHAT? No matter what action is taken, the detractors are there, they see other options as the preferred way to resolve this. All actions have consequences, some are justified, some are clearly called for, some are not, some consequences are clearly incorrect. Jesus balanced toughness with love, His kind words did give firm guidance, so we cannot just say WWJD, because often there was no simple answer there, or here. The Huguenots were a complicated group. They had their militant side, especially in their early years and tried to gain political control in France. 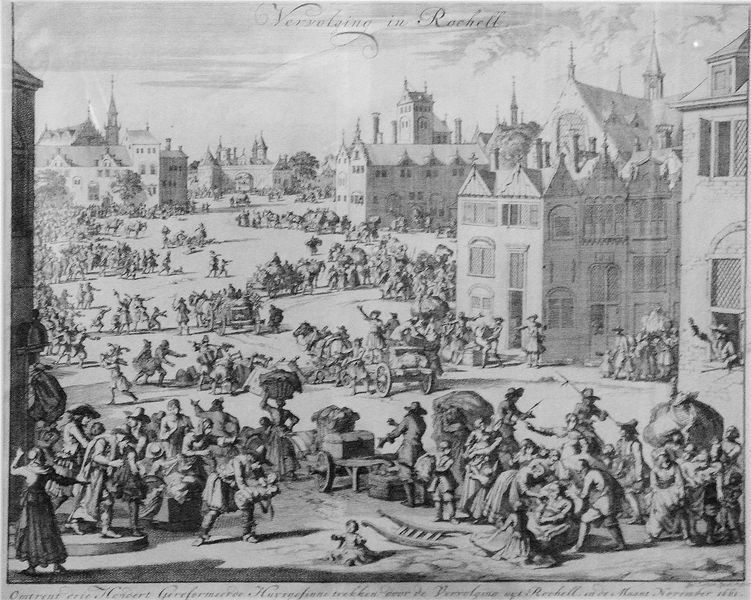 There was basically a civil war between the two sides for over thirty years in the last half of the 16th century; and while the Catholics were responsible for the horror of the St. Bartholomew’s Day massacre and other brutal attacks, the Huguenots also committed crimes and atrocities such as the Michelade. But, when Louis the XIV, the Sun King, revoked the Edict of Nantes which granted freedom to the Huguenots, and quartered his dragoons in Huguenot communities, then, indeed, the Huguenots, who had by then become peaceable and law-abiding subjects, were cruelly treated. Knowing the full history of groups such as the Huguenots helps put into perspective modern perceptions of certain groups of refugees. Both Protestant and Catholic groups fled to North America at different times. The other side, could and did, in the case of the Irish Catholics fleeing the potato famine, argue that in the past the Protestants or Catholics were militant people, liking to establish religious dominance in the land in which they made up the majority, and it would be perfectly true – not just the French Wars of Religion, but also the Thirty Years War that devastated much of northern Europe, and the War of the Three Kingdoms between Puritan, Anglican, Presbyterian, and Catholic in England, Scotland, and Ireland show that Protestants and Catholics were equally capable of slaughter and brutality in their determination to hold political sway. But neither Protestant nor Catholic established the same dominance in North America, despite some abortive attempts by extremists, such as the Irish Catholic Fenians and the Protestant Orangemen to bring their arguments over the Atlantic (http://nationalpost.com/opinion/st-patricks-days-troubled-history-in-canada). The vast majority of people simply want a quiet and peaceable life, and if they can find it, they are less likely to demand that their religion be the dominant one. That Emma Lazarus poem is so moving. It holds compassion up as the greatest good, not wealth and fame and colonial power. We seem to have strayed far from those values in our time.